The Gas Turbine Laboratory (GTL) in Aerospace Research Center at the Ohio State University has recently completed construction of a large above ground rotating component containment facility shown in Figure 1. This is the largest of three such facilities at the GTL and the only above ground due to its size. This facility is constructed of high-strength steel, has an inside diameter of 172-in., a length of 14-ft., a wall thickness of 2-in., and is wrapped with a blanket of woven steel elevator cable with a thickness of approximately 2-in. This blanket is an additional safety feature which will function to contain disk/blade material in the unlikely event of rotating component disintegration. There are four viewing ports on the front cap and four viewing ports on the aft cap. They are used for very high speed imaging that captures air foil deflections in real time. 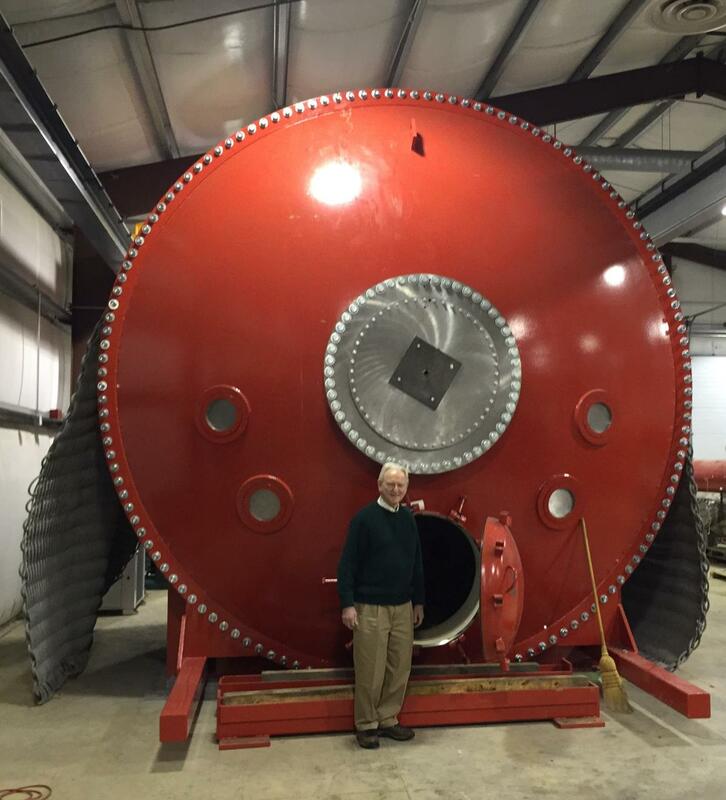 Professor Michael Dunn, Director of GTL, standing in front of the new 172-in. inside diameter spin pit facility. The facility can accommodate a multitude of research projects for very large or small disks including airfoil tip/shroud experiments, airfoil-damping experiments, and investigations of disk whirl, blade-outs and more. The drive motor for this facility is a REMY dual core all-electric motor, and is shown in Figure 2. The motor is approximately 2-ft. long and just over 1-ft. in diameter. Originally designed as racing car motor, it can generate 500 horsepower and better than 400 ft. lbs. of torque. It is integrated with a four-speed gearbox and is capable of accelerating a 12,000-lb disk to a speed of 3,600- rpm in approximately 15-minutes. The system can run a smaller disk to 20,000-rpm. A bank of 220 CALB 180Ah lithium-iron-phosphate (LiFePO4) batteries generating 320 volts and 57.6 kW drives the electric motor with sufficient energy to run the disk noted above for approximately 50-minutes. A photograph of ten of the 220-lithium/iron batteries contained in the battery bank is shown in Figure 3. This new large above ground spin pit facility is the first of its kind in the United States that can accommodate testing on disks larger than 65-inches in diameter. 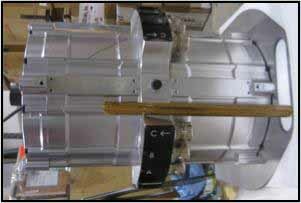 It was designed by Gas Turbine Laboratory personnel, but fabricated by an outside vendor. This facility expands the research capability of the Gas Turbine Laboratory at the Ohio State Aerospace Research Center.